Let us help you achieve all of your shipping goals. Get a LTL, Truckload, or Expedited quote today! Welcome to all American carriers, inc.
Our staff can save you time and money by matching your freight with the proper equipment and carrier, comparing multiple carriers for competitive rates, dispatching and tracking shipments. By utilizing the highest standard of air, land, rail, and sea transportation, we will ensure that your freight gets to its destination in the quickest, most efficient way possible. 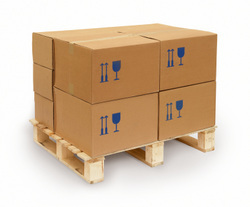 All American Carriers, Inc. can take the complexity out of less-than-truckload shipments. Take advantage of our network to help you find the right carriers, and use our purchasing power to lower your cost. Let us use our expertise to make sure your freight goals are met without breaking the bank. With our resources and the support of our parent company, who specializes in LTL freight, we are certain we have a solution for your LTL needs. Let All American Carriers handle any time-sensitive freight you may have. We can schedule for same day pickup with around the clock tracking until delivery. Also, utilizing the resources of our parent company and leading carrier, Preferred Transport, we are sure that we can offer you a solution to your expedited needs. All American's freight brokerage services include access to a nationwide network of reefer freight trucking companies with a strong record of on-time delivery and courteous professional service. We have experience handling perishables, frozen foods, pharmaceuticals, confectionery and other products requiring reefer trucks. "Let All American Carriers handle all of your freight needs. Honest and dependable carrier. "Tim in dispatch was a pleasure to work with. Need more honest carriers like these guys out there."